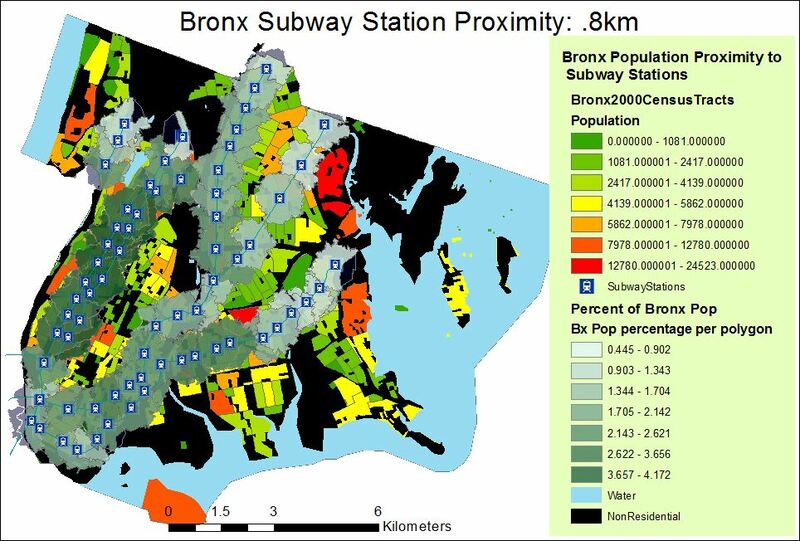 Recently I’ve come across several examples of people being able to use the MTA subway and bus data that I had converted to GIS format a couple of years ago. I know that I’ve been able to put the data to good use. But I’m especially glad to see others benefiting from my efforts. So I thought I’d share some maps and links below. Hopefully this will inspire others to use the data, and to let us know about other examples. 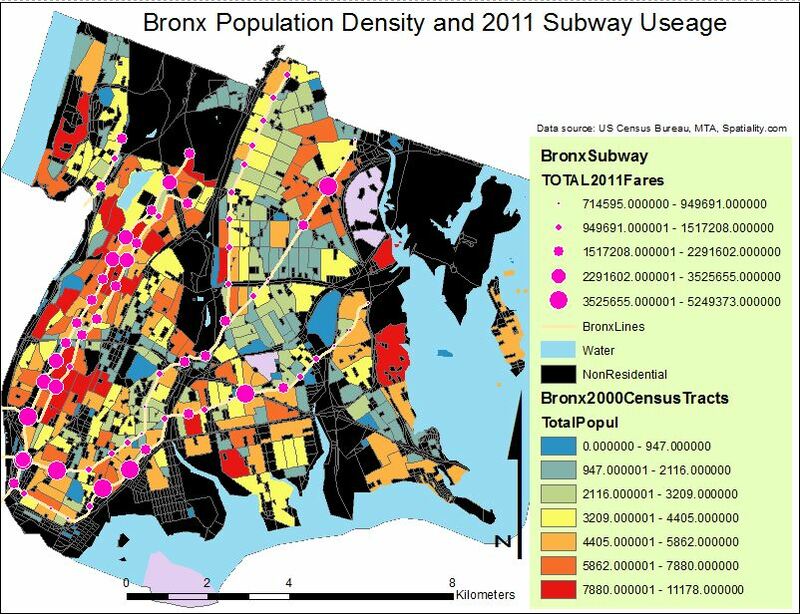 If you’ve been able to use the subway or bus GIS data, please let drop me a line by email or add a comment to this post. Thanks! Zach Nichols wrote a week ago that he incorporated my GIS version of NYC subway routes into a blog post about “re-scaling NYC based on MTA transit time.” Here’s one of his maps (a “distance cartogram”); very cool! 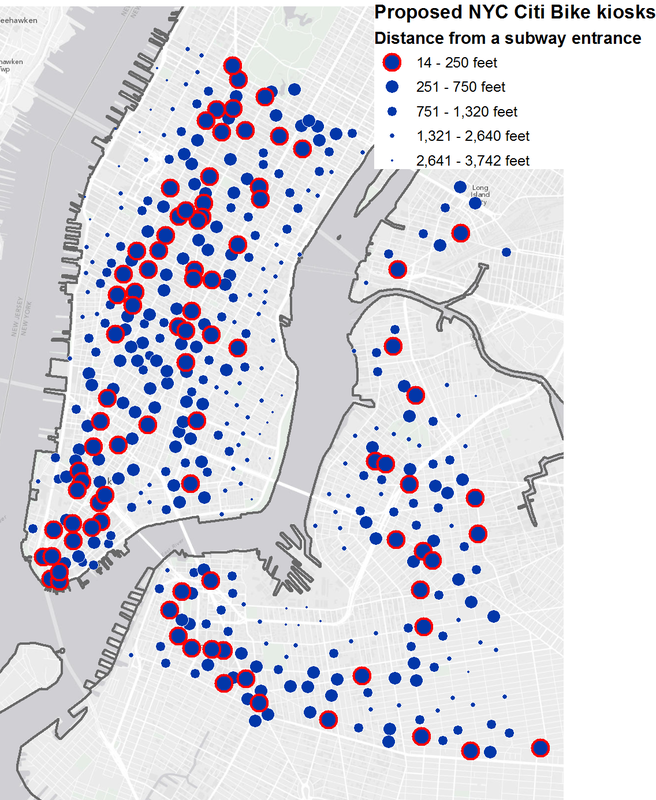 Liz Barry’s students at the New School are incorporating the data into their projects. Glad to be of help, and thanks Liz for your kind words! Lauren Singleton-Meyers at NYU’s Steinhardt School of Culture, Education and Human Development used the subway routes for a project with the New York Center for Alcohol Policy Solutions, for a campaign she’s launched to stop alcohol advertising on public transportation in the city. 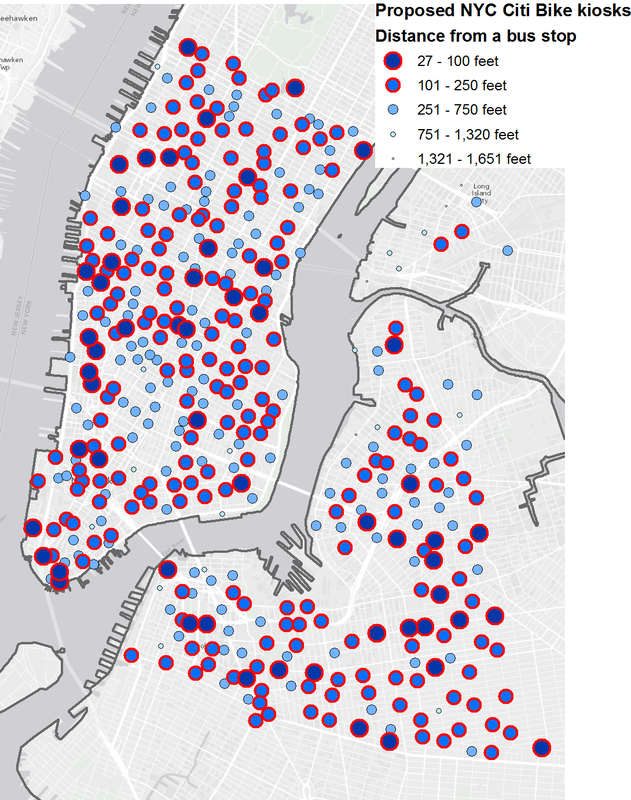 As a start, she’s mapped schools and subway routes and stations. Next steps will be to link pictures of alcohol ads to the subway route lines as part of an educational effort showing what types of ads are being displayed on each route. Here are some example photos via her Flickr stream. If anyone has suggestions on helping her with the next steps for her map, please get in touch (their Twitter handle is @EMTAA). This week the Tri-State Transportation Campaign published an analysis of pedestrian fatalities in Nassau County and several towns in Connecticut, and noted that in Nassau, for example, 83% of the fatalities from 2008-2010 occurred within a quarter-mile of a bus stop. 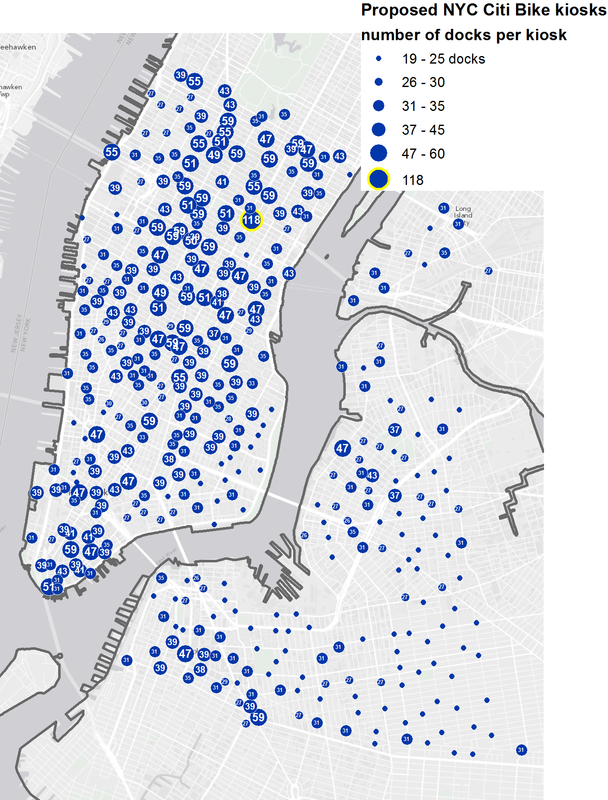 The group used my GIS version of MTA’s bus GTFS data for their analysis. 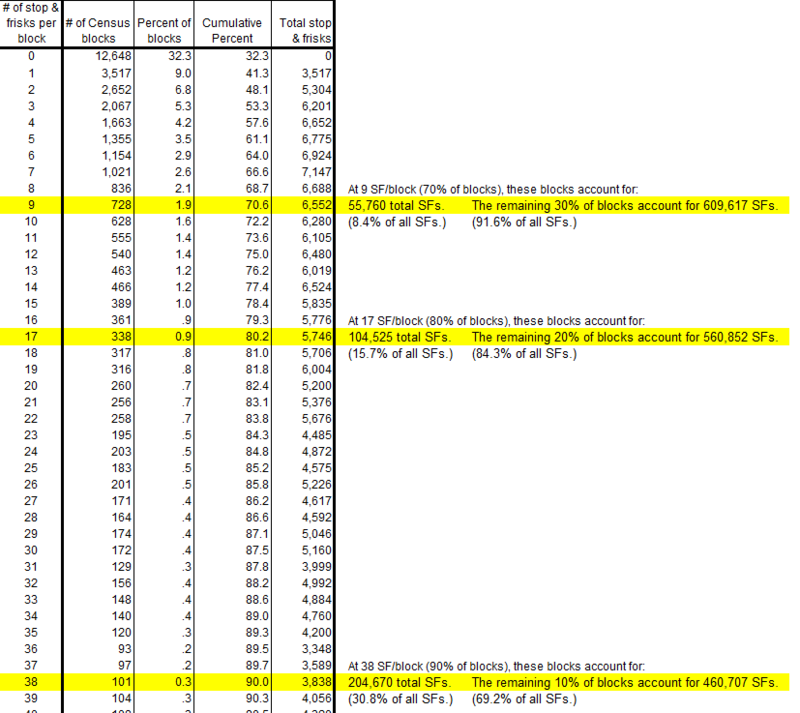 I haven’t examined TSTC’s report closely, so I’m not sure how strong of a causal relationship exists between bus stops, per se, and the fatalities (an anonymous commenter at TSTC’s blog argues that “Of course the most pedestrian deaths occur near bus stops, they’re located in the only places in the county where anyone actually walks”). 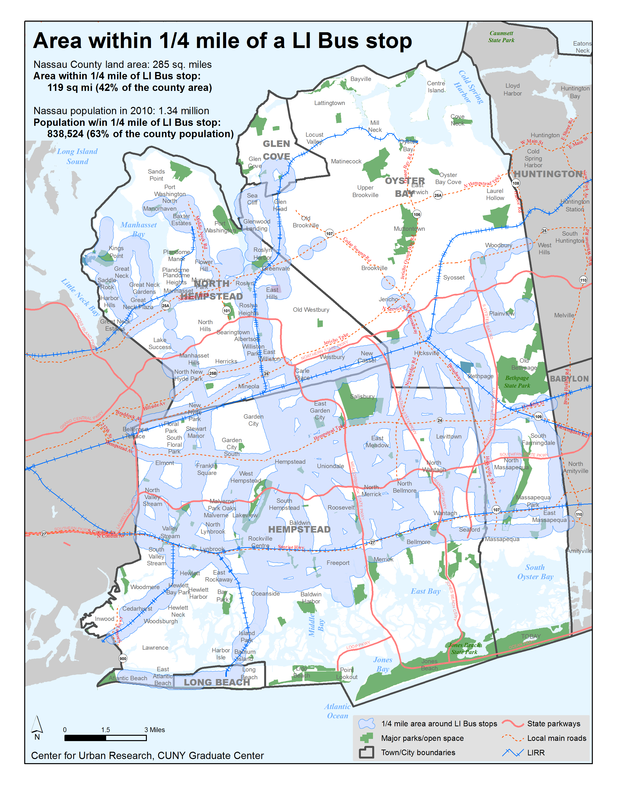 Nassau’s population in 2010 was 1.34 million people. The population within 1/4 mile of all LI Bus stops in 2010 was 838,524 people (63% of the county population). I’m glad my data conversion efforts have been helpful. It’s only possible due to the MTA’s ongoing effort to provide easy public access to their data sets. This enables me and many others to help improve life in and around the city by integrating their data into maps, applications, government accountability efforts, and more. Please send more examples of how you’ve been able to use the data; highlighting these projects helps us all.